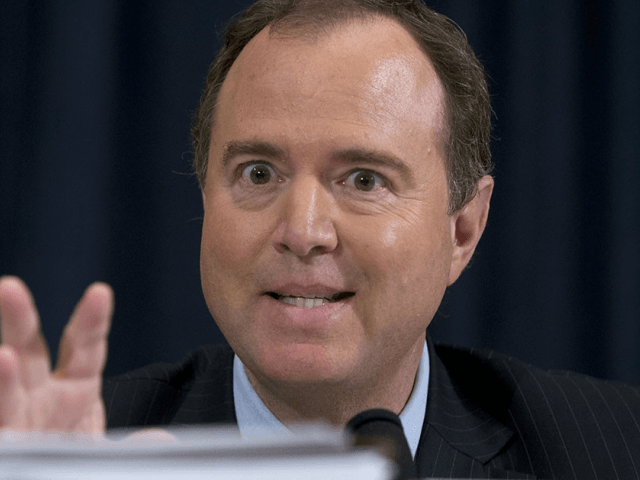 House Intelligence Committee Ranking Member Adam Schiff (D-CA) raised a motion to subpoena the interpreter who attended President Trump’s meeting with Russian President Vladimir Putin in Helsinki, Finland, during a hearing on Thursday. But after Chairman Devin Nunes (R-CA) gave his opening remarks, he turned the floor over to Schiff for his opening statement. Schiff began by attacking the Helsinki meeting and said he was concerned that Trump met with Putin alone without even his own national security adviser. Schiff then raised a motion to subpoena the interpreter who attended the meeting. Nunes said he would not entertain the motion since Schiff only could bring a motion to adjourn, and reminded Schiff he had the remainder of three minutes to make his opening statement. Schiff challenged Nunes, who then called a recess to discuss the matter. The hearing witnesses — four China experts — talked with staff and among themselves. After the recess, Nunes moved to table — or postpone — the motion, which Republicans voted for by voice vote. Schiff then requested a recorded vote. The motion was then tabled along party lines, 11-6. “Schiff has decided to turn this hearing into a Russia clown show,” a house staffer said.